We are pleased to announce that UKAS has moved to new office premises on 4th January 2016. The new building provides better access for staff and visitors, and improved facilities including meeting rooms. Our new main telephone number is 01784 429000. UKAS email addresses remain unchanged. For practical reasons, customers should note that UKAS will continue to issue invoices, system generated letters and quotations that show the Feltham address until the 11th January. The UKAS schedules of accreditation will be updated on a rolling basis throughout 2016. 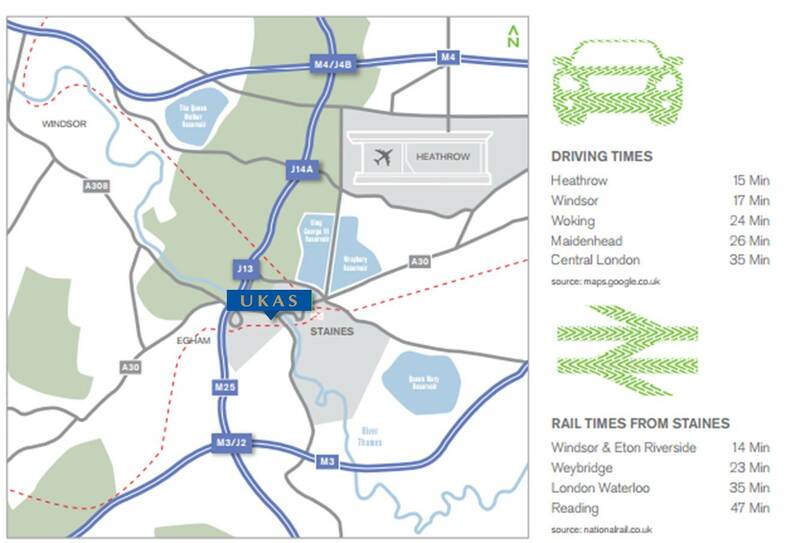 The new office is 35 minutes from London and is easy to reach by car or train. It is also close to Heathrow airport.